2013 Texas Legislature - House Committee Assignments. Texas House Speaker Joe Straus announced committee assignments for the 2013 Session of the Texas House of Representatives. 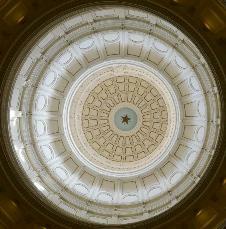 A complete list of all committee assignments can be found on the official website of the Texas Legislature. The chair and vice-chair assignments are detailed below. Texas Lt. Governor David Dewhurst announced Senate Committees on January 20, 2013. A total of 25 (-2 from 2011) of the 38 committees are chaired by Republicans while 13 (+2 from 2011) are chaired by Democrats. 22 (+2 from 2011) Democrats serve as vice-chairs while 16 (-2 from 2011) Republicans hold vice-chair seats. Seven (-1 from 2011) committees have both the chair and vice-chair as Republican and five (+3 from 2011) committees have both the chair and vice-chair as Democrats.